The commercial staff of Horticoop is in a long term capacity building process in order to reach and keep the required high level knowledge and skills. Bureau Leeters, in cooperation with other service providers, has been supporting Horticoop with the design and coordination of the various training activities. 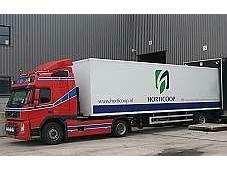 Horticoop is a Dutch provider of a full range of products and services for vegetable and ornamental plant cultivators. It includes substrates, horticultural requirements and technique to pots, vases and bowls. Horticoop is the result of a merger in 2009, in which the activities of Hortimea and Horticoop were integrated.